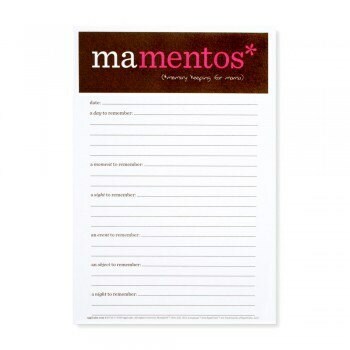 Quick and easy memory keeping for mama. Is this moment worthy of inclusion in the baby book? And where is that baby book anyway? Don't miss a beat with this dependable notepad. Great for the kitchen counter, couch, desk and bedside table. Notes can be transferred to a baby book at a later date or simply collect the note sheets for archiving.